Comments: WEATHERLY (Nee: ) | | | Comments: USED WITH KIND PERMISSION FROM GENEROUS AND THOUGHTFUL OWNER. 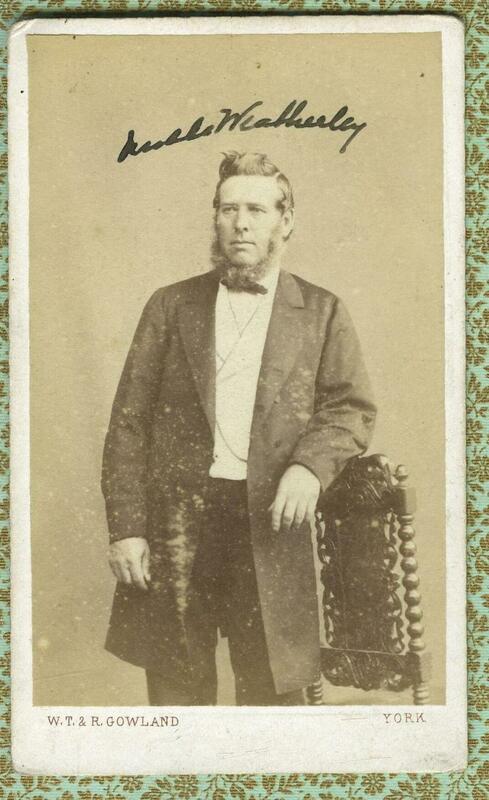 PHOTO ON EBAY CDV by W. T. & R. Gowland of Lendal, York. Subject identified above head as Uncle Weatherley - I am pretty sure the first word is Uncle .